In the heart of Southwell and in the shadow of the fine Norman Minster, you will find the 16th century Saracens Head. This lovely hotel has been restored and now boasts 27 en-suite guest rooms, two bars and the Lord Byron restaurant which combines traditional splendour with contemporary menus.award winning food and service. This charming traditional inn is set in the heart of Laxton village and offers fine homecooked food prepared from the finest local ingredients, as well as lovely spacious en-suite bedrooms in our converted barn. Robin Hood's Sherwood Forest is just 15 minutes drive away. In the Nottinghamshire village of Barnby Moor, this historic 17th century coaching inn rose to fame and fortune in the days of stagecoaches and highwaymen. Today, Ye Olde Bell Hotel and Restaurant combines this tradition and history with contemporary style, creative cuisine, superb wines and warm hospitality. The St Leger Bar and 1650 Bistro are at the heart of the hotel. Guests can also relax in the extensive gardens, or enjoy a drink in the outdoor terrace bar. Conveniently located, the hotel has good access to the A1, M1 and M18. Robin Hood Airport 11 miles. Welcome to the gateway to Sherwood Forest! 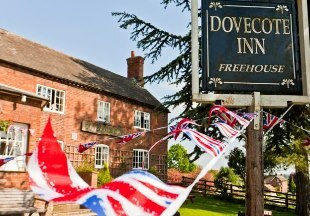 We are in the middle of all the local attractions; Sherwood Forest, Clumber Park and many more just a short drive away. Choose to dine in either the Limetree Restaurant offering an a la carte menu using local produce or in the Dukeries Tavern Bar that offers a wide range of bar meals from our new menu. 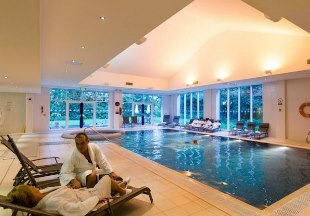 The spa facilities include an indoor heated swimming pool with whirlpool, sauna, steam room, outdoor hot tub and gym as well as six treatment rooms. The Nelson & Railway Inn features listings in The CAMRA Good Beer Guide (since 1974), the AA Britain’s Best Pub Guide, Britain’s Good Pub Guide and 101 Best Pubs in Britain. 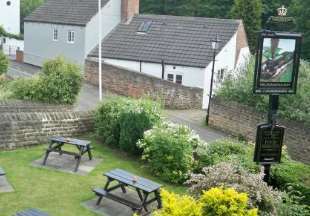 Boasting welcoming and pleasant staff, traditional homemade pub food and a large variety of drinks alongside comfortable rooms, The Nelson & Railway Inn is ideal for those looking for a good quality traditional inn. Cockliffe Country House Hotel is located in the heart of rural Nottinghamshire and bordering the historic Sherwood Forest, famed due to its ties with the Robin Hood stories. Boasting 2 AA Rosette Awarded dining with a menu utilising the best seasonal and locally sourced produce alongside 11 en-suite bedrooms, each individually designed with bespoke furniture make Cockliffe the perfect rural retreat. Only a 30-minute drive from Nottingham City Centre yet surrounded by beautiful Nottinghamshire countryside, this historic inn offers a traditional restaurant offering seasonal and local produce and a cosy real ale bar offering hand-picked ales and a selection of fine world wines. 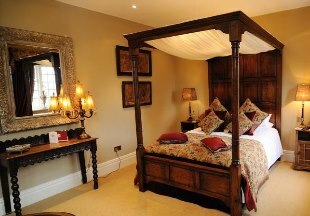 All bedrooms have been refurbished and feature bespoke furniture and luxury beds. Nestled in the South Nottinghamshire countryside, The Star (locally known as The Pit House) is an authentic pub with a contemporary feel. 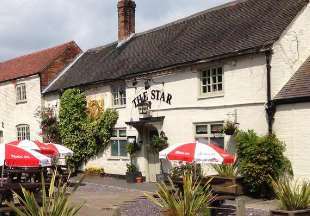 Passionate about seasonal fresh food with newly refurbished rooms alongside a fabulous country pub, The Star is a traditional English Inn worth a visit. 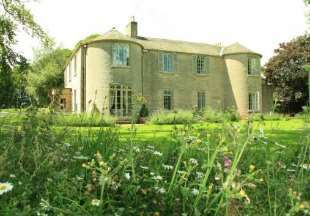 Welcome to our selection of hotels and inns in Nottinghamshire. This is Robin Hood Country! Explore Sherwood Forest Country Park and the famous Major Oak. For lovers of the legend, there is an annual five day festival in August to celebrate the famous outlaw. Clumber Park near Worksop is another large country park. Popular with families, it offers a large lake, heathland and woodland, with cycle trails throughout. And then there's the country town of Nottingham, famous for lace making and the Goose Fair held each October. Nottinghamshire has been welcoming travellers for centuries, as the Great North Road (A1) passes right through the county. 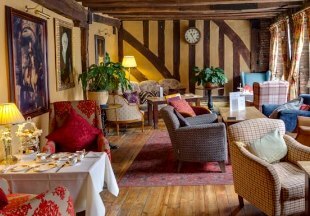 Old coaching inns such as Ye Olde Bell simply ooze history, charm and character with their oak panelling, open fires and ancient beams. A stay in an inn or historic hotel is without doubt the best way to get a feeling for the area, and so we hope you will enjoy browsing our handpicked selection of Nottinghamshire hotels and inns below. "Southwell is one of the most attractive towns in Nottinghamshire with its elegant Regency houses and magnificent Minster, one of the finest medieval churches in England. Where better to stay than right opposite the Minister at the 16th century Saracen's Head? Whilst in Southwell, be sure to seek out a slice of apple pie, as this is also the home of the Bramley apple!" Nottinghamshire is bordered by South Yorkshire, Lincolnshire, Leicestershire and Derbyshire. 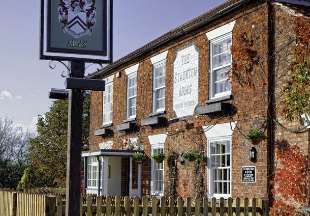 If you want to widen your search, why not browse through our selection of hotels and inns in Leicestershire, South Yorkshire, Lincolnshire and hotels in Derbyshire.